McDonald’s, Miami Heat, the Smithsonian. Though this sounds like it’s describing my ideal day of tourist activities, it’s actually part of the lineup for day two of TRIRIGA University 2018! In addition to a fantastic lineup of speakers, there was also plenty of opportunity to get social. Keep reading for a summary of the highlights. When the new 2019 lease accounting standards come into play on January 1, McDonald’s will be at the forefront. A journey that began nearly five years ago, in 2014, is finally coming to fruition. When the standards were first announced, McDonald’s did not have the systems or accounting in place to meet them. They chose IBM TRIRIGA to help them on this journey in 2014, configured it in 2015, and have been working to implement across 15,000 leases in 20 countries ever since. 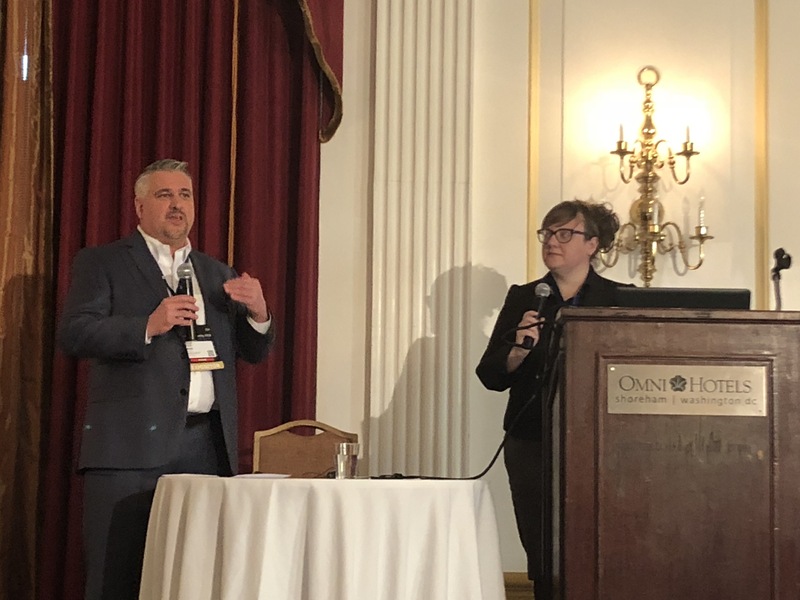 “It’s a slow process”, commented Lou Battagliese of Jackson Cross Partners, the IBM business partner helping McDonald’s with implementation. “But you need to work through it.” Comparing it to the Y2K crisis of 2000, it’s a long road of preparation, but if all precautions are taken, a crisis can be averted. McDonald’s will be in the first round of companies impacted by the new FASB/IASB standards and feel confident that they are well prepared using IBM TRIRIGA. Opened in December of 1999, American Airlines arena has a capacity of 20,000 for events. The arena also includes restaurants, parking garages and loading docks. Covering 1.1 million square feet, 7 levels, and 136 space classes, there are many moving parts. One of the main revenue drivers for the arena is the diversity of events, and things are always changing fast. Trying to manage that – for example, doing 16 concerts and games in a row- is not possible with tools that are not sophisticated enough to handle complexity of reservations and changes. Prior to TRIRIGA, the information was siloed across multiple applications. There were lost revenue opportunities due to lack of view across calendars for the arena. Poor decisions were made due to poor data insights. And they needed better front-end visibility on needs of specific events to avoid issues when processing requests. By gaining visibility with TRIRIGA, these issues around communication disappeared. They were able to implement important changes around reservation management, space availability search, reservation approvals, waitlist and hold status, multi space reservations, and subtle but important differences in types of bookings for the same space. This sold-out event featured insights from some of the leading ladies in facilities management technology. 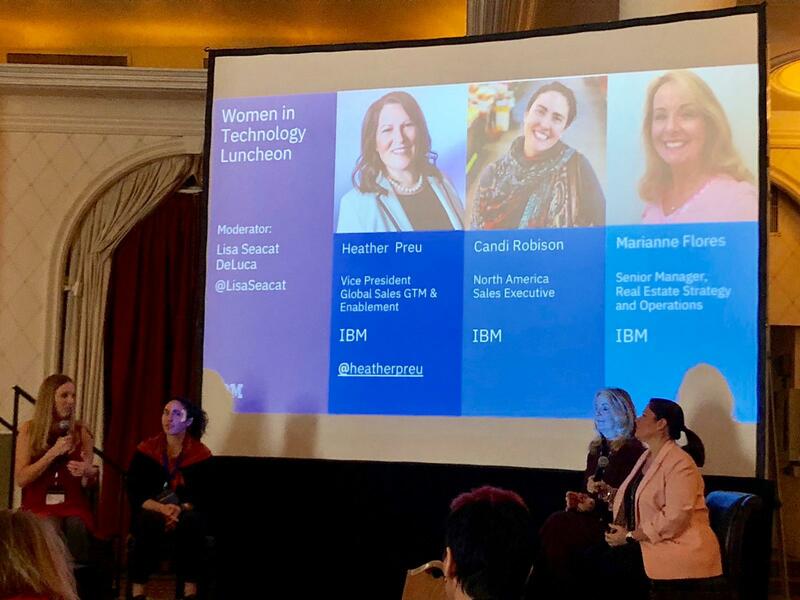 In a panel moderated by Lisa Seacat DeLuca, executives from across IBM gave some tips on how to grow as a female leader in this space. -Be passionate about what you work on. Candi Robison talked about her passion for her work and how exciting it was that everywhere you go, you can talk about how your technology influences people’s lives. -Find allies and mentors. All of the panelists stressed the importance of building a circle of both supporters and people who can help pull you up the ladder. -Learn, fail, move forward. Never assume you will be ready when a new opportunity presents itself. Take it anyway and learn as you go. It was very inspiring to hear from these influential women! Continuing the momentum from yesterday, clients and partners shared their stories with us in quick live streams throughout the day. Check out this episode with the Smithsonian Institution and see all the Quick Bytes from the event. With 180,000 employees and contractors, Dow’s mission is to create innovative office and lab environments that make the workplace a destination people love. 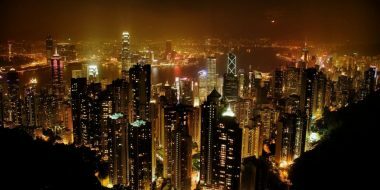 Dow has been using TRIRIGA since 2005 for 2K+ buildings and nearly 30 million square feet. When they started with TRIRIGA, the primary focus was facility maintenance and operations. They have since added lease admin in 2013, transaction management in 2016, and capital projects in 2018. Using TRIRIGA, they have seen over $9M in annual savings. Their advice: It’s not about going live and then being done. Day 1 is really just the beginning. 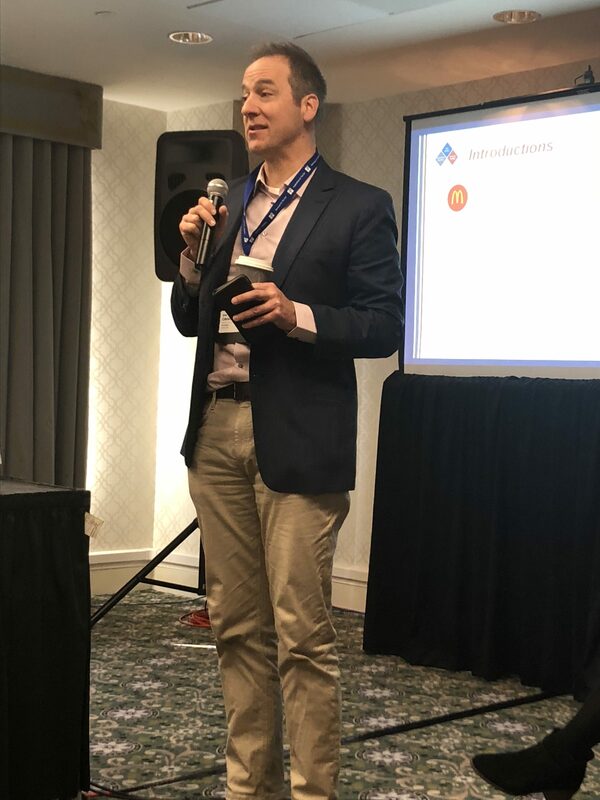 As this year’s event comes to a close, attendees are already talking about reconnecting at the TRIRIGA Academy during the IoT Exchange in Orlando, Florida in April. 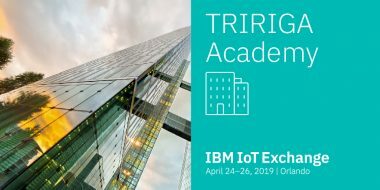 Check out other TRIRIGA University posts and follow the conference on Twitter and LinkedIn at #WatsonIoT and #TRIRIGAU. Experience our new interactive TRIRIGA demo.